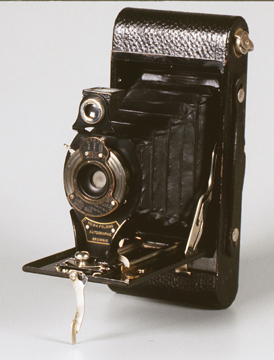 KODAK No.2 BROWNIE - 1901. 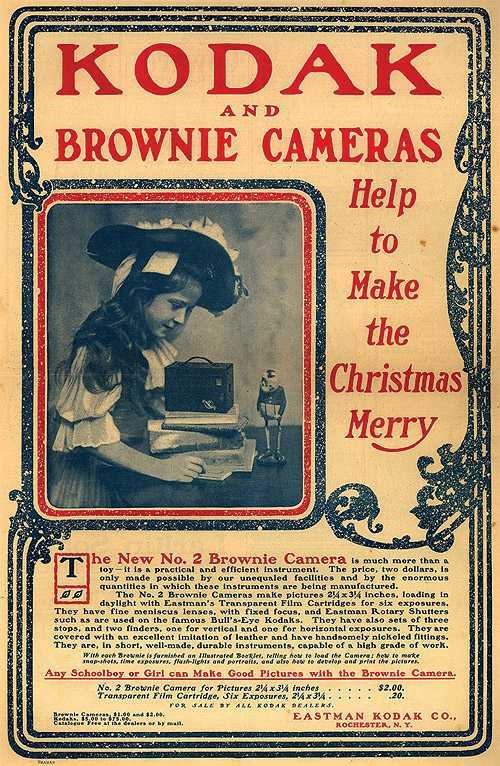 KODAK BROWNIE No. 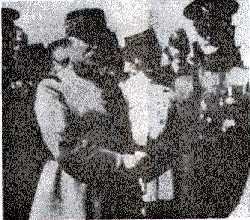 3 - 1908-1934. The above model of No. 3 Brownie would date between 1908 and 1917 as the film tension spring is in the center rather than at the ends of the film spool. Those who collect old Brownies will recognize that the above sampe is in rather excellent condition as the latches do not have even a trace of corrosion. Original price was $4, which would be about $88 in 2010 dollars. It was purchased on eBay with manual for $20. 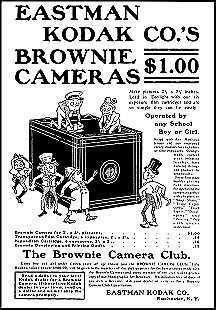 KODAK BROWNIE No. 3, Model B - 1911. The Model B came out in 1911, but the one shown above is of 1920 or later since 1920 was the year when the trigger guard was added around the shutter lever. 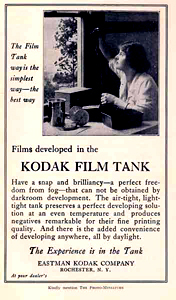 KODAK FILM TANK - 1918. The film tank is actually the round tank on the right. 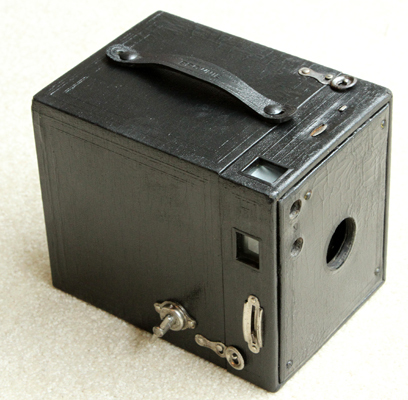 The box was used for winding film from the original roll onto a reel for developing as shown on the far right. The sawteeth on the underside of the roll permitted the developing fluids to reach the film once the reel was put into the developing tank. The entire process could be completed by the amateur in daylight. KODAK No. 2 RAINBOW HAWK-EYE, MODELC - 1929-1933. The No. 2 Rainbow Hawk-Eye C was most likely sold as a camera for kids as it was of the simplest possible design and with a cardboard body. The one above is more typical of older Kodak cameras as it has corroded metal works and a missing handle. 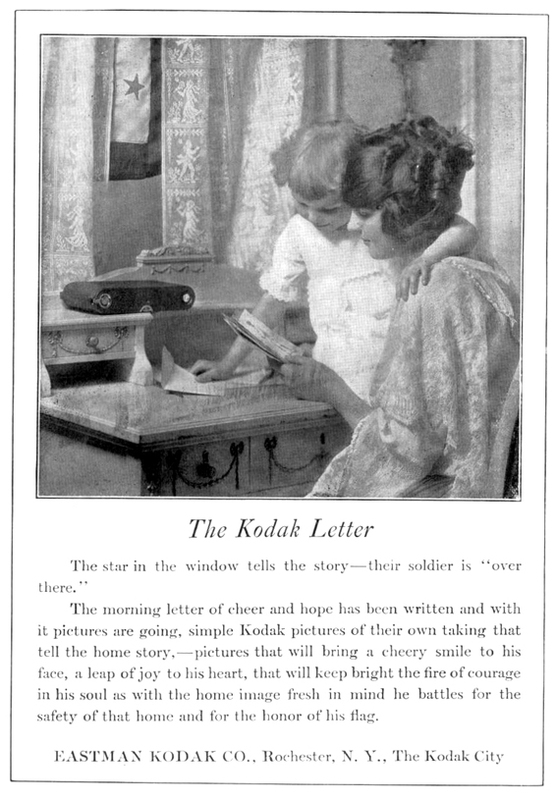 KODAK AMATEUR PRINTER- 1914. 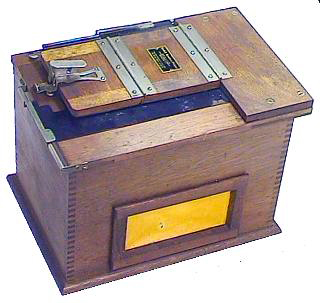 A contact printer for negatives up to 3 3/4 x 5 1/2 inches in size . It had an internal safelight and built-in printing frame with adjustable masks. These contact printers were frequently used to mass produce post cards in the 3 1/4-inch by 5-inch size at up to 300 cards per hour. Using a contact printer in this way could provide an extra source of income for an industrious photographer. Information kindly provided by Doug Mills from the book "Fifty Dollars a Week with Car and Camera" by Paul Glenn Holt. 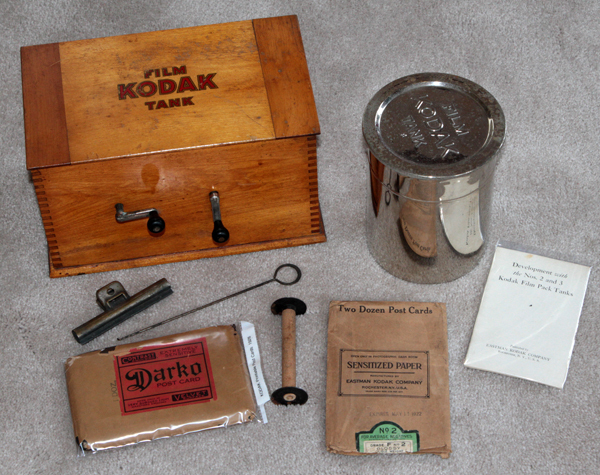 A TRIO OF AMATEUR PRINTERS: The Kodak Amateur Printer is seen on eBay from time-to-time and can usually be purchased for $10-40 or so depending on condition. I purchased four amateur printers and used one for parts as I restored the others. Very little information is available concerning the Kodak Amateur Printers, but I believe the one below is an early model because it is more complex (more expensive to build) and the switching mechanism seems to be more finicky as to adjustment than other models. 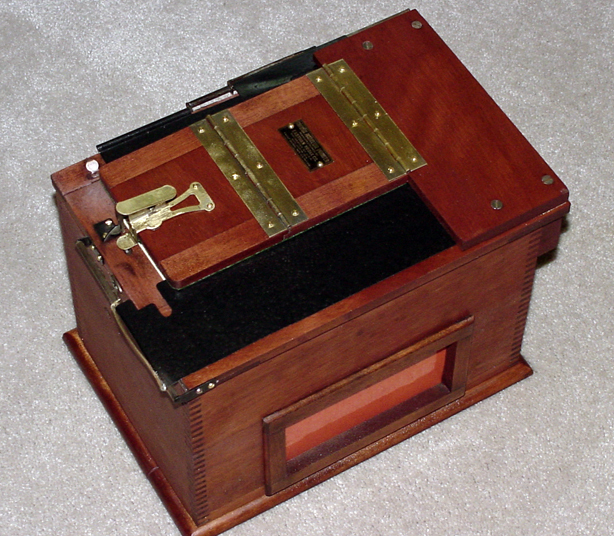 The above photo shows the exterior of the printer and the folding platen on top that holds the film and paper in place by way of the locking switch on the left. A small shaft protruding through the upper left is depressed to switch the safelight off and the white light on. The orange window on the side is removable and originally had a yellow cloth as a safelight media. In most of the Kodak Amateur Printers now available the cloth is severly damaged or missing. I replaced the cloth in this printer with a piece of laminated orange paper. The second photo shows the interior and the mechanism for adjusting position of the lights. A shaft protrudes through the right and is turned to move the lights left and right (up and down in the photo). The shaft can also be moved in and out moving the bulbs toward or away from the switching mechanism on the left (left and right in the photo). The purpose was apparently to adjust for the various sizes of prints. The above photo shows the switching mechanism for turning the safelight off and the white light on. When the contact printer is plugged into an outlet the safelight comes on. When the shaft on the switch is depressed the safeligjht goes off and the white light comes on. 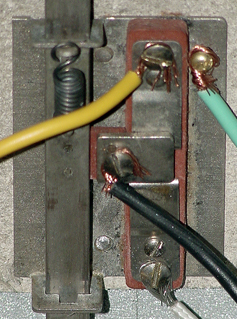 In this model the power is supplied through the center (black wire) which is touching the safelight contact (yellow wire). When the shaft is depressed the hot contact moves down and touches the white light contact (white wire at bottom). 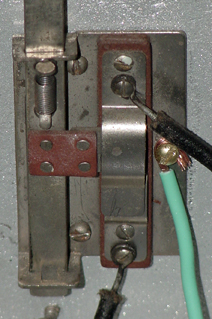 The shaft and contacts on this switch have to be precisely adjusted in order for the mechanism to operate as designed. The below (later model?) printer has a similar, but simpler switch. 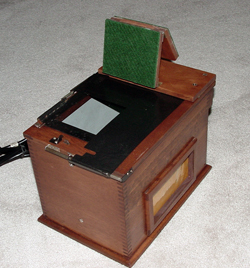 The above photo shows what I believe is a later model of the Kodak Amateur Printer. Although it looks similar on the outside, there are significant differences inside. The photo on the above left shows the platen folded back exposing the glass and the adjustable metal sheets used for various sizes of print. The photo on the right shows the interior which is much simpler than the previous printer. 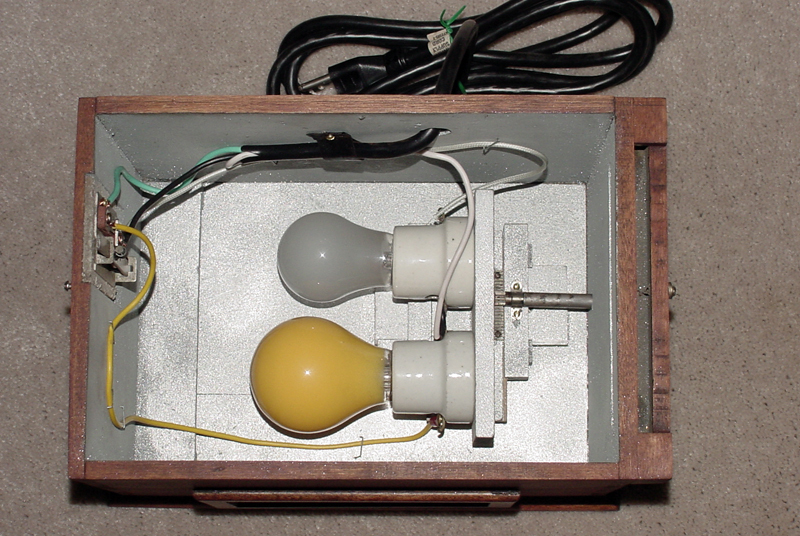 The bulb positioning mechanism is no longer in place and the switch has been simplified (see below). At first glance the above switch may appear the same as in the first printer, but it has only two contacts with wires attached rather than three (the green is merely a safety ground). 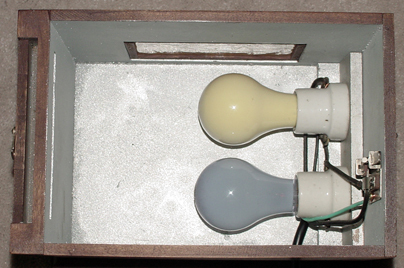 The incoming hot wire is attached to the left side of the safe light (top contact in interior photo above). When the switch shaft is up as in this photo the current passes through the safelight and through the white light socket and bulb which is grounded thereby lighting the low wattage safelight. When the shaft is depressed the current passes through the black wired attached to the upper post on the switch and down through the lower black wire which is attached to left (upper post of the white light socket in the above photo) screw post on the high wattage white light. When the switch shaft is in the up position there is a slight space under the metal strip going between the two posts so that current cannot pass. When the shaft is depressed a metal piece attached to the center of the shaft (but insulated from the shaft) slides downward and electrically connects the upper post to the lower post. This system make uses of certain electrical rules in a clever way. When the shaft is up the current passes through the low wattage yellow bulb first lighting it up brightly and the high wattage bulb not at all. When the shaft is depressed the current goes to the white bulb dirrectly which is well grounded. This causes almost all of the current to go through the white bulb with virtually no current going through the yellow bulb, thus the white bulb lights brightly and the yellow bulb not at all. Information provided by Jack Carter, Sony technician. When you feel that you thoroughly understand the operation of the lighting system let us know and we will send you a 100 question test. 98% is a passing grade. The printer below is the most unusual and undoubtedly the rarest of the three, possibly one of a kind. What is so unique is that it is not a Kodak Amateur Printer, but a homemade copy, and a very good one at that. In addition to very good carpentry, the homemade printer has some very interesting features that perhaps Kodak should have copied. The wood bar across the top acts as a handle and as a means of depressing the switch. The Kodak switch is a thin metal bar that is not too kind to your fingers. Secondly, the post depressing the switch in the homemade copy is a round wooden peg, much safer than the metal shaft on the Kodak switch, especially as three-wire systems with safety grounds were not used in those days. The cleverest part of this printer is the simple switch that took the place of the Kodak switch. As you can see, it was made of a spring, a washer and two metal strips. The current comes through the wire on the right and passes through the upper metal strip when the peg is up thereby lighting the yellow bulb. When the peg is depressed the current goes through the lower strip and lights the white bulb. My hat is off to the builder of this gem of the early twentieth century. 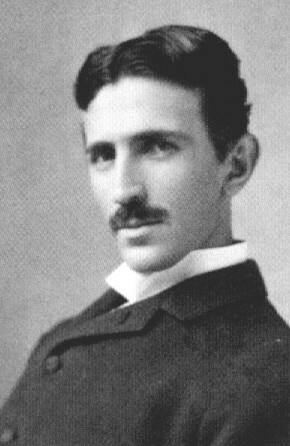 NIKOLI(A) TESLA - 1856-1943. Tesla invented radio, not Marconi. Tesla also invented the electric generator, the electric motor, fluorescent lighting, alternating current (AC) and devised the technologies that generate and deliver our electrical power for our homes, schools and factories. 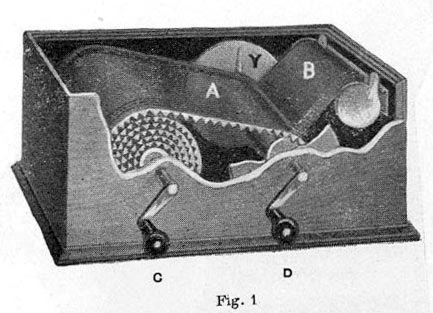 Tesla's discovery of the rotating magnetic field produced by the interactions of two and three phase alternating currents in a motor winding was one of the most significant achievements of the century and formed the basis of his induction motor and polyphase system for the generation and distribution of electricity. Tesla's generation of electricity resulted in what is known as alternating current, or AC. In alternating current the polarity and strength of the energy is continuously changing / alternating. In 1943, the Supreme Court granted full rights to Tesla for the invention of radio, nullifying the claims of Marchese Gugliemo Marconi who had patented a two-tuned-circuit design and a more practical four-tuned-circuit modeled after Tesla's. Marconi's patent on the invention of radio was overturned by the U.S. Supreme Court because Tesla's work predated it (Case #369, 6/21/43). Marconi did succeed in beating Tesla as the first person to send a wireless telegraph across the Atlantic which prompted Tesla to remark, "Let him continue. He is using seventeen of my patents." In addition, Tesla's 1903 patents 723,188 and 725,605 contain the basic principles of the logical AND circuit element basic to all computers. 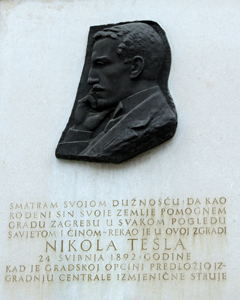 Tesla was born in Smiljan, Croatia, where he is considered a national hero. 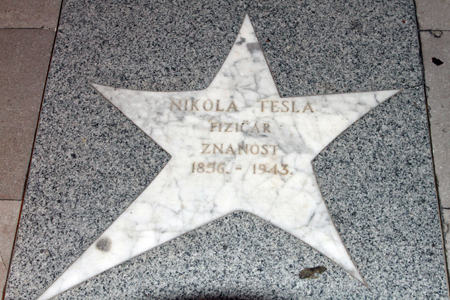 The plaque shown above is in Zagreb, the capital of Croatia, and the walkway star is in the City of Opatija. For those of you wondering where to go on that once-in-a-lifetime trip you have been saving up for, you could make no better choice than Croatia. My wife and I have traveled to over 45 countries and we would place Croatia at the top of the list. Croatia has awesome scenic wonders, beautiful cities and towns with unforgettable architecture, is the cleanest country we have ever visited, and is absolutely safe day or night anywhere you might go. Our travel agency is Odysseys Unlimited which operates only with small tour groups of about 22-24 and always provides first-class hotel accomodations. Their current guide for Croatia (2010) is Darija Gotic, who is not only outstanding, but very easy on the eyes also. 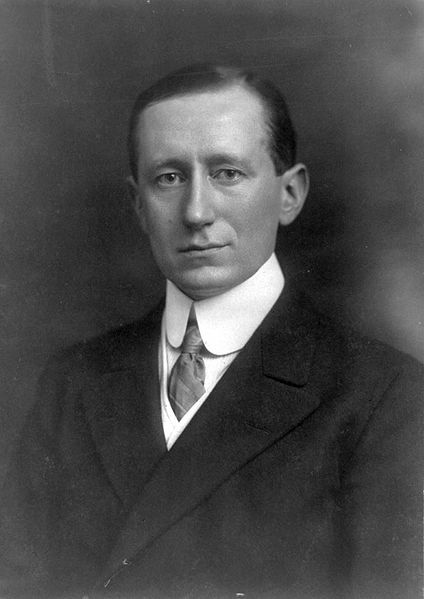 GUGLIELMO MARCONI - 1874-1937. Many people attribute the invention of radio to Marconi. It is more accurate to say that Guglielmo Marconi discovered a way to manipulate and exploit radio frequency energy. Marconi was actually one of many experimenters who were trying to send signals through the air rather than by wire, thus the name wireless. Marconi followed the developments of other inventors and in 1895 created his first successful wireless system. He patented his invention in England in 1896 and pursued the commercial aspects of wireless by installing his system on ships and at shore stations. On December 12, 1901, Marconi sent a signal from St. Johns Newfoundland to Poldhu, England. It consisted only of the letter S sent in telegraphic code but it was the first transatlantic broadcast of an electromagnetic signal or radio wave. Marconi's patent on the invention of radio was overturned by the U.S. Supreme Court because Nikoli Tesla's work predated it (Case #369, 6/21/43). Marconi did succeed in beating Tesla as the first person to send a wireless telegraph across the Atlantic, which prompted Tesla to remark, "Let him continue. He is using seventeen of my patents." LEE DE FOREST - 1873-1961. In 1906, Lee De Forest invented what he called the Audion, the first Triode Electron Tube to successfully amplify radio waves. De Forest invented the device by inserting a grid into the center of a vacuum tube. Applying voltage to the grid controlled the amount of a second current flowing through the tube. This invention made coast to coast telephone calls possible. Soon, this triode tube was being used in radios as well. 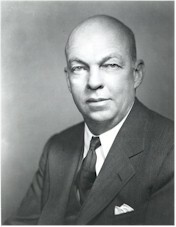 DeForest also challenged Edwin Armstrong's priority for the discovery of regenerative-oscillating, or feedback, circuit which greatly increased radio signals, made them loud enough to be heard across a room and led the way to transatlantic radio telegraphy, The issue was twice argued before the US Supreme Court which found in DeForest's favor due to a technical misunderstainding by the court. 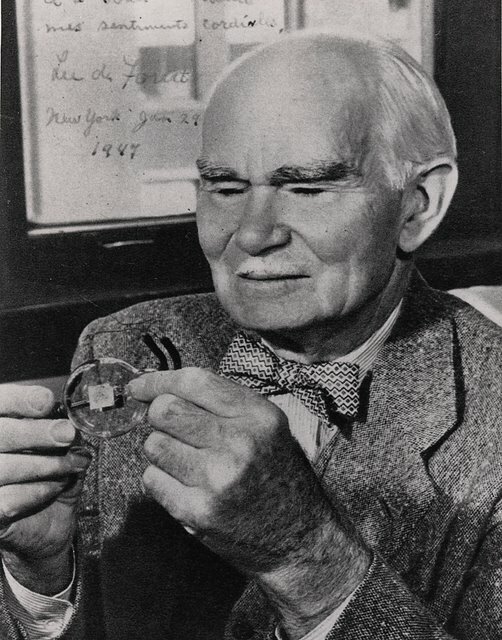 The scientific community has always credited Armstrong for the invention and he received a gold medal for it from the Institute of Radio Engineers. 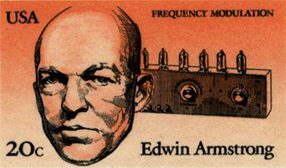 On December 12, 1914, Edwin H. Armstrong, an American electrical engineer and a true genius, published an article in Electrical World explaining the action of de Forest’s Audion tube. Armstrong’s first important invention was the regenerative circuit he developed in 1912 (see photo above right). 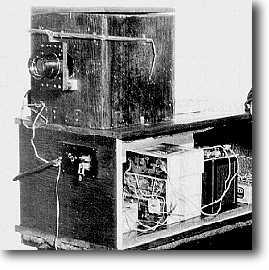 The regenerative circuit revolutionized wireless radio communication because it could amplify weak radio signals without distortion, and it did so far more effectively than other radio receivers of the time. This invention began radio’s transition from a laboratory curiosity to the ubiquitous household device that it is today. While serving in the US Signal Corps in WWI, Armstrong came up with his second great invention, the superheterodyne circuit. This invention allowed for greater selectivity and amplification of radio signals. 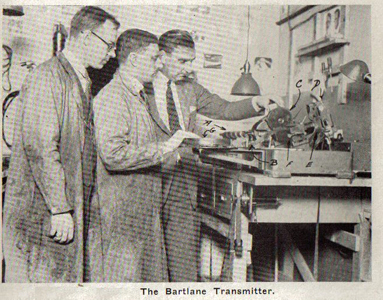 Prior to Armstrong’s superheterodyne radio, fading and static were constant problems even when transmitting stations were located near to the receiving radios. Automatically tuning into your favorite radio station was an impossibility. If you were lucky, your favorite station came in, and if not, some other station did - maybe. Armstrong's technology, developed when most wireless stations were still transmitting in Morse code, was an important step that would allow future radio listeners to select a particular station and receive it loudly enough so that it could be enjoyed. Early on, Armstrong had entered into a series of court battles with Lee De Forest who claimed that he had been the inventor of the regenerative circuit, but just had not gotten around to applying for a patent. During one of his court appearances, De Forest spent more than three hours on the witness stand attempting to explain how the regenerative circuit worked, but was unable to do so. In one of the greatest ever travesties of American justice, the Supreme Court of the United States found in favor of De Forest over Armstrong due to a technical misunderstanding by the court. This decision was never accepted by those in the industry who knew that de Forest was nothing more than a backroom tinkerer who had serendipitously stumbled upon the beneficial effects of what he called the Audion tube. He had not only not invented the regenerative circuit, he had no idea how either it or his Audion tube worked. 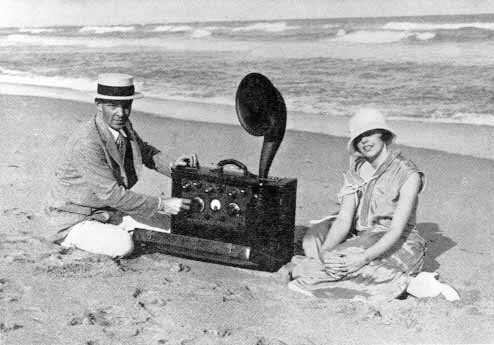 Armstrong's present to his wife - a portable superheterodyne receiver, the world's first portable radio. 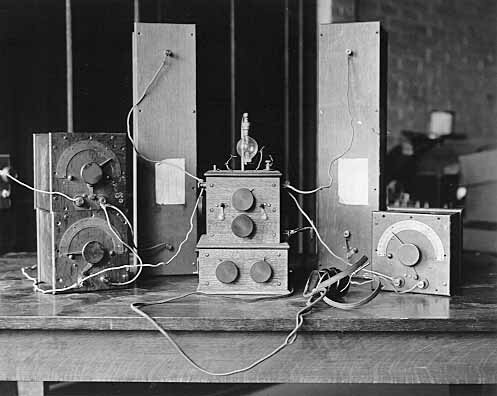 In 1933, Armstrong introduced his third great invention in the development of radio – frequency modulation, or FM. 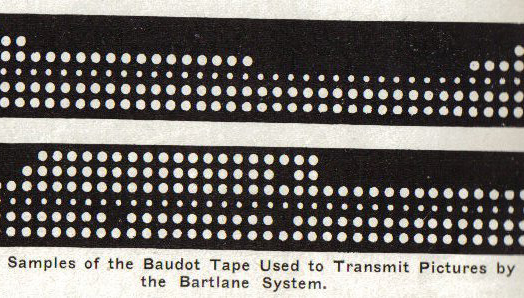 This invention solved the problem of noise and interference that plagued amplitude modulation (AM) stations of the time. During the early years of radio, an astute, but ruthless businessman by the name of David Sarnoff had risen to power in the newly created Radio Corporation of America (RCA), eventually becoming the czar of America’s empire of the air. Because RCA had such a heavy investment in AM radio, Sarnoff refused to adopt FM even though it was vastly superior to AM. Instead, he used the great economic power of RCA to impede the marketing of Armstrong’s FM invention as much as possible. Armstrong then began his own company to promote FM and gradually made inroads into AM’s radio monopoly. A great step forward came when the U.S. Congress directed that FM be the means of voice transmission for television. This required all FM users to pay fees to Armstrong for rights to his invention. Sarnoff’s reaction was to refuse payment and to urge all others to do so. This caused Armstrong to enter into legal contention with the industry giant, RCA, and a number of other FM users - twenty-one lawsuits in all. After many years of legal battles, and with his own funds depleted, Armstrong became severely depressed and took his own life. After Armstrong’s death, his widow continued the lawsuits her husband had begun. Her first victory came in 1954 over RCA and it gave her funds to continue the other suits. Finally, in 1967, with a victory over Motorola, she had won all twenty–one of the lawsuits begun by her husband so many years before. The name Armstrong is now synonymous with the development of modern radio. 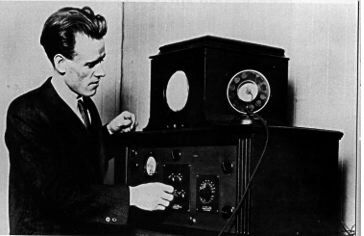 PHILO T. FARNSWORTH TELEVISION - 1922. A Utah-born Idaho farm boy, Philo T. Farnsworth created television as we know it today. At fourteen, he visualized trapping light in an empty jar and transmitting it one line at a time onto a magnetically deflected beam of electrons. 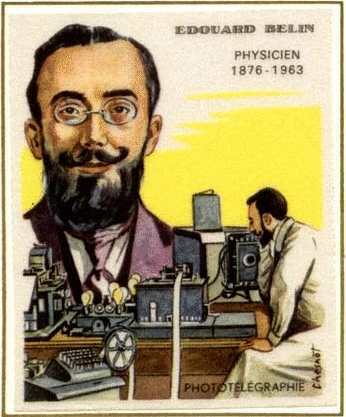 By the time Farnsworth was 21 he had developed the first all-electronic system of television. A 1922 Sketch by Farnsworth shown to his high school physics and chemistry teacher illustrated how an image might be electronically transmitted through the air to a receiver by breaking the image up into a number of horizontal slices. This image process which we now call a raster image occurred to Farnsworth when as a fourteen-year old boy he looked across the rows of a field he was plowing. In 1934 Farnsworth won a case before the U.S. Supreme Court declaring that Farnsworth was the inventor of television rather than Vladmir Zworykin who was employed by David Sarnoff of RCA at that time. The case was won when Farnsworth's high school physics teacher presented Farnsworth's 1922 sketch to the Court. The attempt by Sarnoff to claim rights to television was similar to the battle with Edwin Armstrong over radio. In both cases, Sarnoff was eventually proven wrong in the courts. However, Sarnoff was able to tie up Farnsworth in court for many years and cause him to expend all his financial resources. Eventually, Sarnoff had to give in to the inevitable and was about to pay Farnsworth a large sum in order to use his patents, but just then the U.S. entered World War II and TV research and production was put off for the next six years. By that time Farnsworth's patents had run out and Sarnoff was able to mass produce TVs under the RCA brand, bringing television to homes throughout America by way of his TV network, NBC. In the end, Farnsworth, the inventor of television, never profited from one of the greatest inventions of all time, the riches instead going to Sarnoff and RCA. Besides his contributions to television, Farnsworth patented more than 130 inventions during his lifetime. 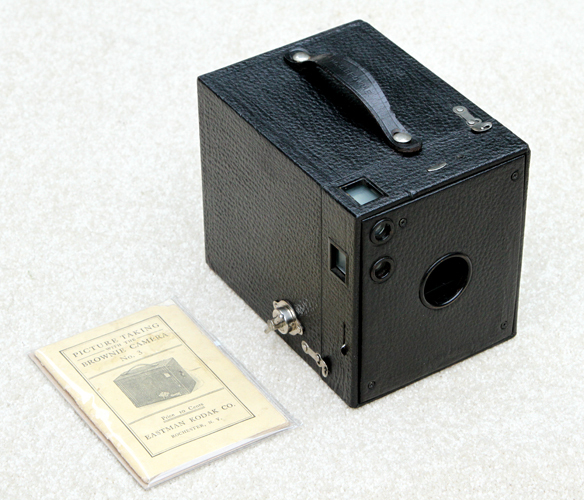 KODAK 1A POCKET CAMERA AUTOGRAPHIC - 1914-1924. 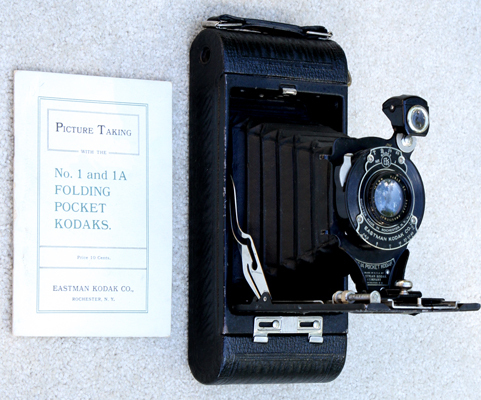 Eastman Kodak produced a number of variations of this very popular camera thereby helping to promote the photography hobby in the U.S. The folding Pocket No. 1 (2 1/4" x 3 1/4" on 120 film) and No. 1A (2 1/2" x 4 1/4" on #116 obsolete film) came in various series and types. These cameras were mass produced with inexpensive optics. F/6.3 - F/45, 127mm lens (not same on all cameras). Kodex No 1 shutter (T,B.25,50). 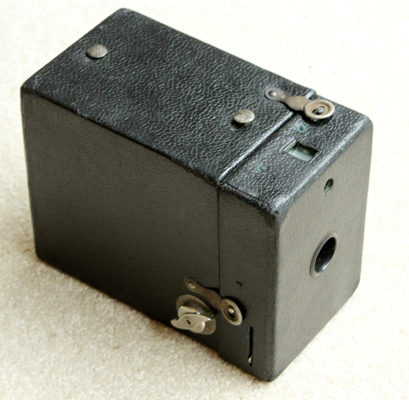 T he 1A Pocket Kodak was constructed of leatherette covered metal. The entire camera back was removed in order to load the film. 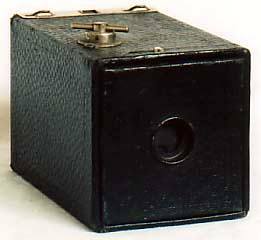 It is one of the first cameras to incorporate an adjustable range finder. 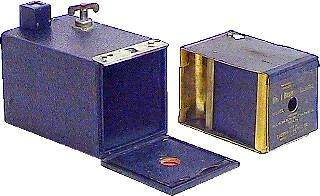 As the bellows is withdrawn from the body it extends on a chrome rail until it meets a stop. The supporting rail is then moved forward and back by means of a small thumb screw located on the right side. Distances were shown on a small scale on the left side. The stop is adjustable in order to calibrate the rangefinder. 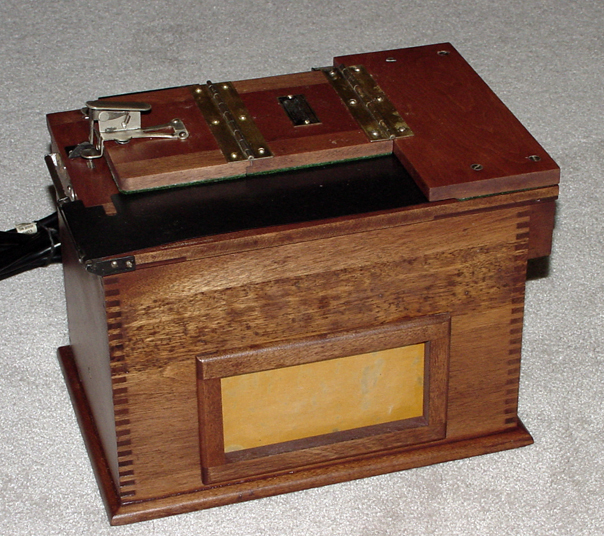 The 1A Autograhic camera was so called because it had one very unusual feature. There was a small sliding door on the rear which gave access to its special film which had a layer of carbon paper and a layer of thin red paper. Using a small stylus that came with the camera, it was possible to annotate handwritten remarks directly onto the film. 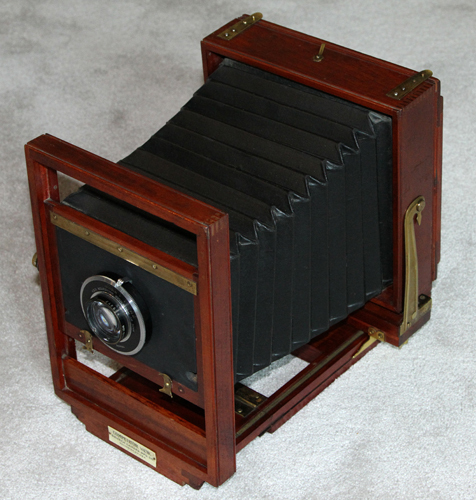 KODAK 2-A AUTOGRAPHIC BROWNIE - 1915-26. The 2-A was manufactured in Canada. 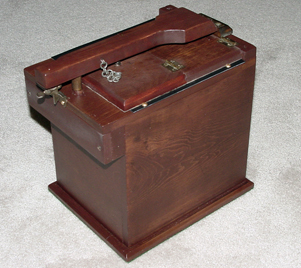 From 1915 through 1916 the ends of the camera case were square. From 1917 through 1926 the ends were round as shown above. Kodex shutter with speeds B, T, 1/25, 1/50. The 2-A used size 116 film. MSRP $8-13.